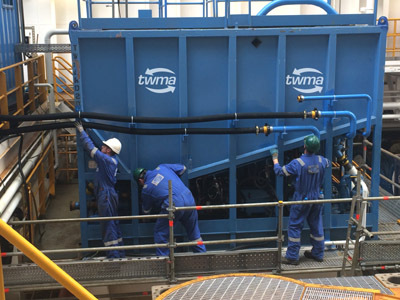 Global integrated drilling waste management and environmental services firm, TWMA, has been awarded two major contracts, building on a strong relationship with Maersk Oil North Sea UK (Maersk Oil) spanning more than a decade. The projects, which are led by an Aberdeen-based team, involve work on the Culzean development – one of the largest gas discoveries in recent years in the UKCS – and the continuation of provision of innovative technology across Maersk Oil’s Central North Sea operations. 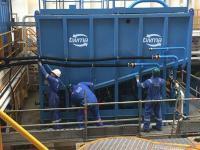 To ensure the company continues to offer the best, most cost-effective and safe solutions available to the global oil and gas industry, multi-million pound equipment investments are being made. The new work will also result in the creation of up to 20 new jobs. Neil Potter, Chief Operating Officer at TWMA, said: “We are delighted to have been selected to support Maersk Oil on these projects as they expand their drilling activity within the UK sector of the North Sea.